CAMA celebrated its 75th Concert Season in 1993|94, commemorated by a proclamation from Mayor Sheila Lodge. Since October 1990, the CAMA Women’s Board has distributed tickets to local junior high and high school students for CAMA concerts at the Arlington Theatre (today at The Granada). 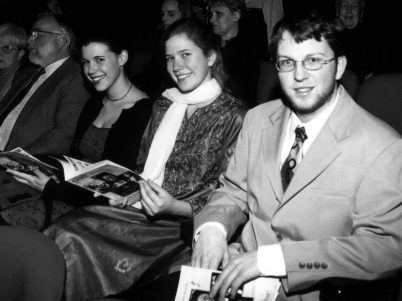 Starting in the 1997|98 season, CAMA organized its Youth Audience Development program, collaborating with local colleges including the University of California at Santa Barbara, Westmont College and Santa Barbara City College. The colleges organize academic courses whose curricula focus on CAMA’s concerts – the composers, pieces, performers, and historical context of the music. CAMA celebrated its 80th Concert Season in 1998|99, commemorated by a proclamation from the County of Santa Barbara, signed on October 6, 1998 by the Clerk of the Board & the Supervisors of Districts One to Five. 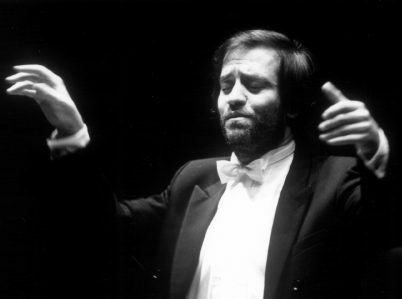 Notable concerts of the 1990s included performances by the San Francisco Symphony with Herbert Blomstedt, the Leningrad Philharmonic with Mariss Jansons, the Gewandhaus Orchestra of Leipzig with Kurt Masur, the Cincinnati Symphony Orchestra with Jesús López-Cobos, the Moscow Philharmonic with Mark Ermler, the Russian National Orchestra with Mikhail Pletnev, the St. Louis Symphony (twice) with Leonard Slatkin and Hans Vonk, the Pittsburgh Symphony with Loren Maazel, the Dresden Philharmonic with Philippe Entremont, the Orchestre National de France with Charles Dutoit, the Kirov Orchestra with Valery Gergiev, the Vienna Symphony with Rafael Frühbeck de Burgos, the Royal Philharmonic with Yuri Temirkanov, the Hong Kong Philharmonic with David Atherton, the Sächsische Staatskapelle Dresden with Giuseppe Sinopoli, the Budapest Festival Orchestra with Iván Fischer, the Academy of St. Martin in the Fields with Sir Neville Marriner, and the Philadelphia Orchestra with Wolfgang Sawallisch; recitals by sopranos Kathleen Battle and Kiri Te Kanawa, and pianist André Watts, ; and appearances with orchestra by pianists Ursula Oppens, Jean-Yves Thibaudet, Alicia de Larrocha, and duo-pianists Katia and Marielle Labèque, violinists Schlomo Mintz, Nigel Kennedy, Maxim Vengerov, Robert McDuffie, Cho-Liang Lin, Pamela Frank, Leila Josefowicz, Pinchas Zukerman, and Joshua Bell, trumpeters Håkan Hardenberger and Sergei Nakariakov, and soprano Felicity Lott.